Learning motor skills is very important for toddlers to be able to maneuver and learn what works and what doesn’t. 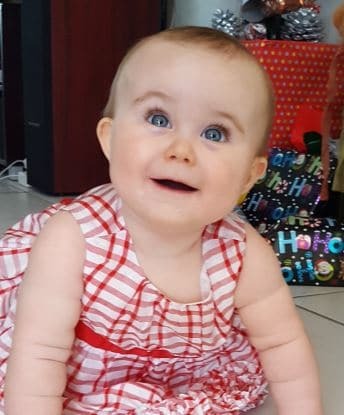 Toys create the pathway to a toddler learning physical, mental, social and emotional development and are an important part of a child’s upbringing. 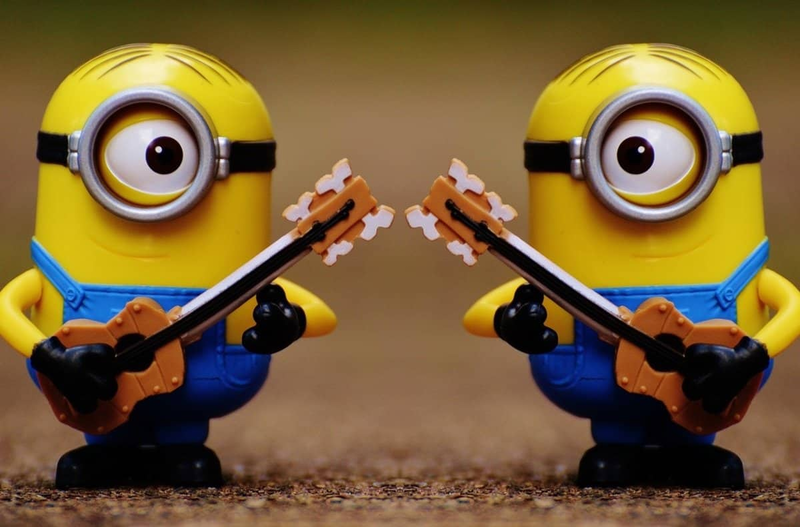 I have put together a list of what I believe are the best learning toys for toddlers. Choosing the best learning toys for toddlers can be challenging with all of the items available today. 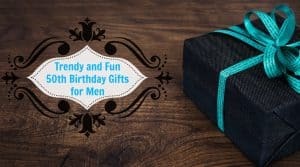 Keep in mind that toys with features such as pounding, sawing and other tasks require that the toy you choose is strong enough to withstand all the rough play time it’s going to have. Pounding toys are also on the list of best learning toys for toddlers. They let the child hammer balls or other shapes until they fall. 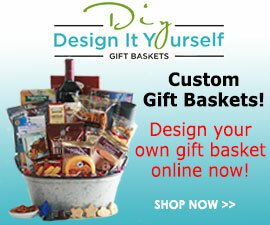 They are great learning tools for hand-eye coordination and aiming. Toddlers can use their imaginations to pretend, play and create things from the motor skills toys that are available today. 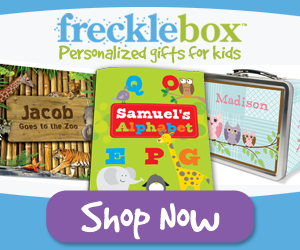 Melissa & Doug toys have always been leaders in toys that ignite the imagination and help children realize their full potential. 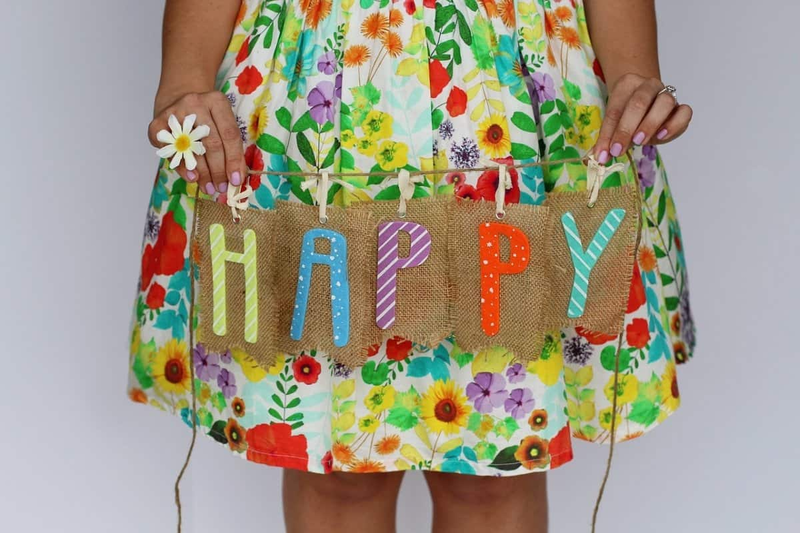 They manufacture well designed, tough and classic wooden toys that help children of all ages discover a passion or a purpose in life. 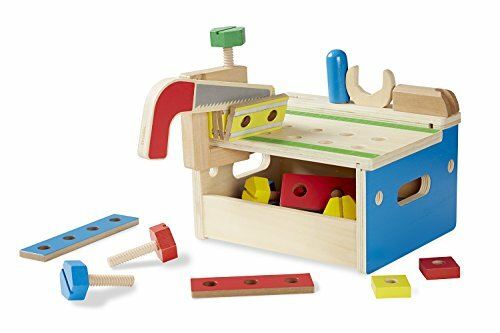 The Hammer and Saw Tool Bench – Wooden Building Set by Melissa & Doug comes with 26 building pieces, the tool bench and 5 tools. It’s ingenious how they designed self stick tabs that mimic cutting the wood. Toddlers can pound on the wooden nails to their heart’s content and learn motor skills and hand-eye coordination. There are even blueprints to help the kids create houses, boats or animals as they grow and learn or they can use their imagination and create their own structure. Playkidz’ Super Durable Pound A Ball is also designed with teaching a child eye-hand coordination, how to sort shapes and cleverly introduces them to color. This Pound A Ball toy was especially designed for little hands and excitement when the balls are pounded and roll out the side. 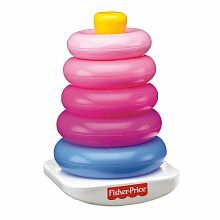 The stacking toy from Fisher-Price is a classical and inexpensive toy that’s been around for generations. 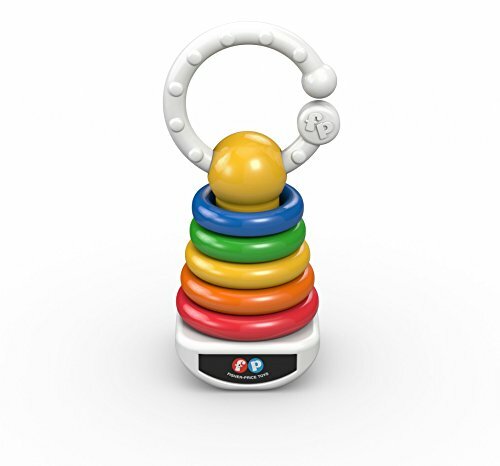 It’s an evolving learning tool for the toddler that can delight them with rattles, help them teethe by chewing on the rings and eventually figuring out colors and how to stack them to fit. 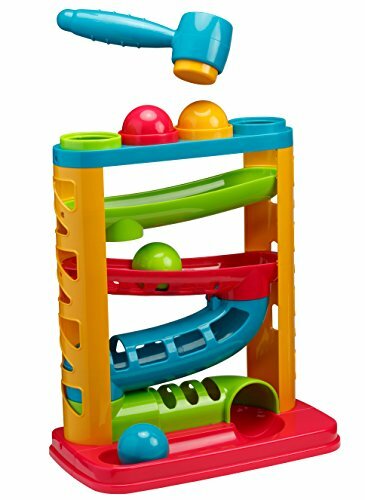 Now, there are other Rock-A-Stack toys to choose from, including the Rock-A-Stack Pink or the Rock-Stack-Clacker which features a teething ring at the top of the stack. I believe that beginning your child’s learning experience with motor skill toys helps to develop confidence in other things they attempt later in life. Part#4 is scheduled for Saturday so don’t forget to bookmark this post and check back on Saturday. Thank you for visiting. You definitely can’t go wrong with these. Love this. I used to teach at an early childhood school and we had many of these toys exactly for fine motor development.